Outsourcing traces its early origins to Industrial Revolution, but it was only towards the late eighties that it came to be accredited as a full-fledged business strategy. Since then, it has manifested itself in various revamped avatars. At present, no industry has been left untouched by the gargantuan outsourcing waves; and fancy monikers like near-shoring, offshoring, KPO, BPO, LPO, ITO, etc., and many other specialized outsourcing fields that have lately come into the picture. The illustrious journey of outsourcing began with the Manufacturing sector and has ramified gradually into sectors such as Banking, Pharmaceutical, Hospitality, Information Technology, and so on. Outsourcing has definitely provided corporations around the globe with much sought-after cost-saving finesse and peace of mind to focus on core activities, but along with it comes some pestering challenges. Over-fluidity in outsourcing is encouraging businesses to develop new airtight strategies for combating these challenges. 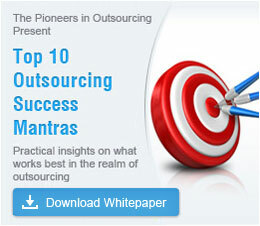 Let's map out some of the present outsourcing bottlenecks and their possible solutions. Bleeding of In-house Human Resources - It has been noticed that the very name of outsourcing sends shivers down the spine of existing employees. The implementation of outsourcing creates a sense of uncertainty among the current workforce and induces them to hunt for greener pastures. This is a real jolt to the organization and can upset the human resource applecart. Although axing of some employees is inevitable, organizations can address this issue by internally developing center of excellence for individual domains. This will help existing employees get past their fears, get trained in new core processes or technologies, hone their expertise, and grow further along with the organization. Selecting the Right Service Provider - Selecting the right vendor is the bedrock on which the entire outsourcing process depends. If there remains a flaw in the selection phase, then clouds of frustration and breach of promise are bound to overcast the contract in due course of time. Vendor should be selected strictly according to the requirements of the organization and the desired output needed. Before signing the dotted line, business owner should be sure to ascertain the type and tenure of the contract. Even going for a test run before getting into a long-term agreement is a good idea. After implementation, key performance indicators should be monitored frequently and the 'Balance Score Card' method should be applied to do the performance appraisal. Legal Tangle and Lack of Understanding of the Contract - If the legal implications of the contract are vague to both the organization and the service provider, it will fizzle out the initial hoopla surrounding the outsourcing decision. 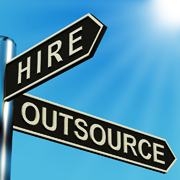 Many outsourcing companies overlook legal issues and face outsourcing failures. To avoid any future legal complications, the contracting parties must conform to the local legislations hook, line, and sinker. At the time of negotiation of the contract, all executives from both sides must be on-board and the terms of contract should be made clear to each one of them responsible for taking the outsourcing decision. Cultural Concerns - Cultural stereotypes and niceties are increasingly playing an important role in determining the fate of the outsourcing deal. There are two types of cultural peculiarities: Corporate and Country-specific. Outsourcers often find it difficult to rectify cultural tangles. The complexities of the process you are trying to outsource, and the impact of outsourcing to people of a different cultural background should be studied beforehand. Cultural coherence and synchronization can be attained by putting in place a sound multi-cultural sensitization program for both outsourcer as well as the service provider. "Outsource and Forget" Cannot Work - Gone are those days when an organization can set itself totally free of non-core activities after delegating the same to external service providers. Even if the organization has delegated the non-critical operations to a third-party, it should be on its toes to face any exigency. Also refined monitoring processes should be set in place, so that outsourcing organization is in total control all the time.